It’s lovely! I love that warm purple-y color. Heh – since I wear so much black, my accessories match by default. 🙂 Is simple. Oh, I love it! How really pretty and purply. Oh course, as I said, purple is my absolute favorite color. It all looks great! I love the green coat, too. 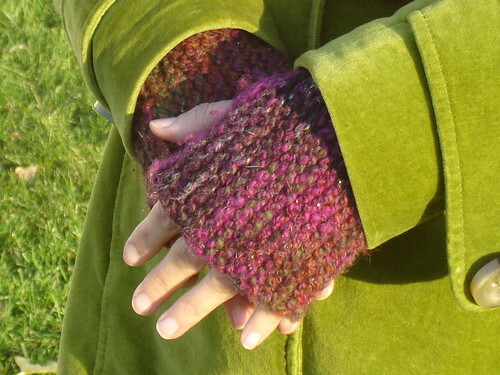 Love the green coat and all the nice accessories you’ve knit for it lately. The purple goes so well w/ that green!!! LOVELY!!! I wish I was that coordinated! 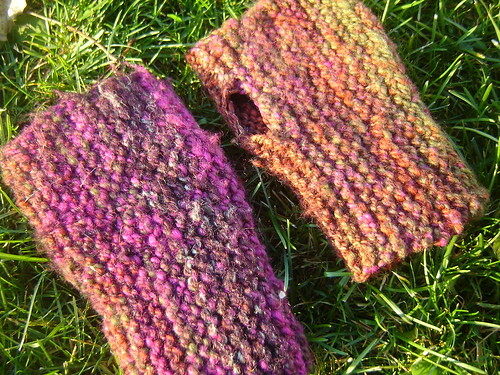 I don’t even have matching mittens… not even the same pattern. It’s so sad. My hat is 12 years old, a tomato my mom made me in high school. Yay for Cascade. Your ensemble is lovely!! Way to be organized!!! You look like an American Girl Doll from the fifties! So cute! Wow, you have been busy. I am inspired.. I never seem to make anything that matches anything. I always want to, but I never do. I write here that I will now make something match! Your mittens are great. Have a good weekend to you and yours. Oh this is lovely…beautiful colors…refreshing and vibrant. Hooray for all the matchy-matchyness! 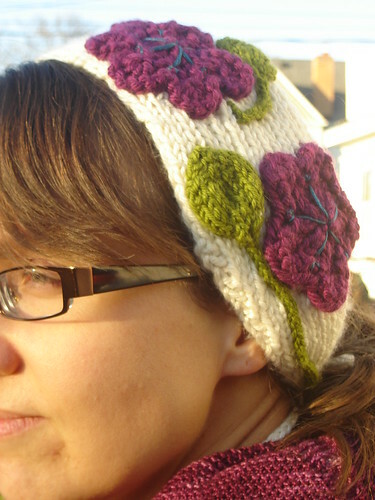 Purple looks great with your green coat; love the headhugger, and Damson, and fingerless mitts. 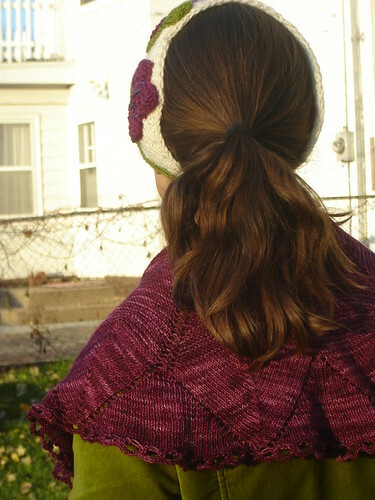 Oh, how I wish I were knitting right now and not working!